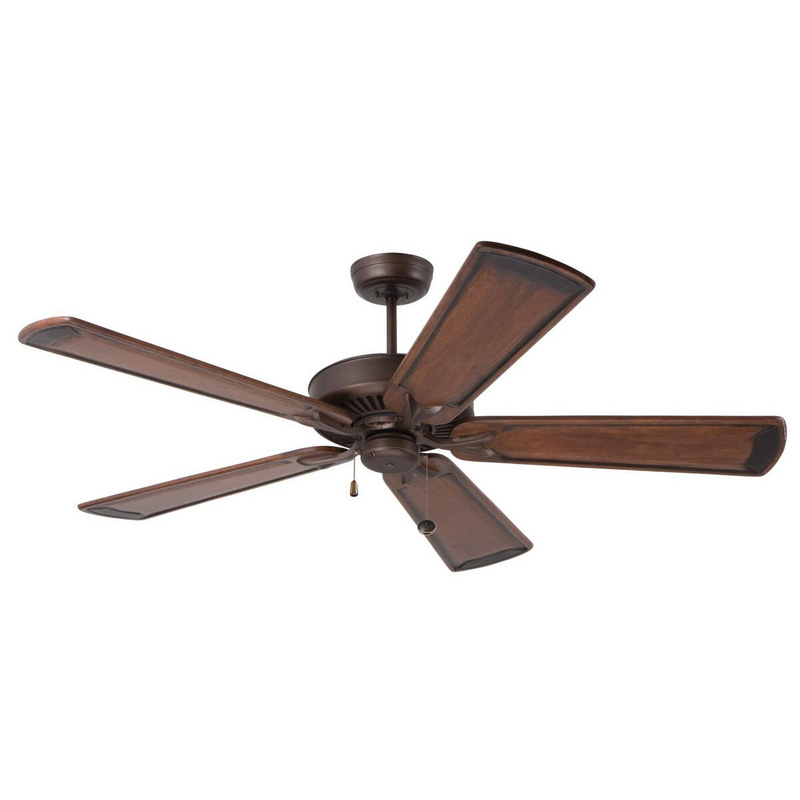 Emerson Premium Select Ceiling fan has five 58-Inch blades to effectively circulate air in large spaces. Fan has oil rubbed bronze finish housing for corrosion resistance. Blade has pitch of 12-degree. This 3-speed pull chain control fan has flow rate of 7264 CFM and operates at 40 - 205 RPM. It has current rating of 0.85-Amp at high-speed and power rating of 100-Watts. Fan has K55XL motor for efficient performance. It is suitable for indoor use.